Welcome to SlotsClub.com: The club for the best online slots machines! SlotsClub.com is a portal that is entirely dedicated to the world’s most popular online slot machines. We will also introduce you to the best casinos where you can try out all the tested online slots for yourself as much as you want both with or without real money! To keep you informed about the respective online casinos and their operators, our website is full of a variety of meticulous, detailed test reports – exclusively from reputable vendors that you know you can trust with your stakes. We take a special look behind the scenes of the casinos, as this is where people often have questions. But there are no secrets at SlotsClub.com! You will learn, for example, which companies are behind the different online casinos, how they organize their customer support, and where their license was issued (this is mandatory for all reputable online casinos). You will find every detail on SlotsClub.com. We will, of course, also answer your questions about possible payment methods, payout rates, etc. After all, we want to give our readers a full overview of all online casino details, as well as of the popular slots. Our goal: to take a closer look at 1000 + high-quality slots. We intend to cater to every taste, as the sheer variety available in today’s casinos is enormous. The advantage of SlotsClub.com is that you do not have to register with each provider first. You will be able to see immediately which games are currently on offer and whether these belong to your favourites. SlotsClub.com presents all the slot machines along with extensive details, including special functions, slot reel descriptions, winning symbols, not to mention average payout rates. Even better: you can experience all the games for yourself at no risk with a free demo – 24/7! 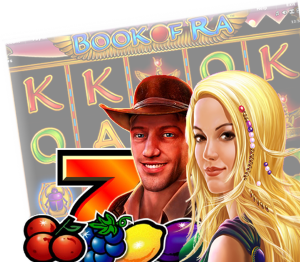 If you particularly like a certain slot machine, you can access the corresponding online casino via a direct link where you can play for real prizes – in fact, some of our readers have even won huge payouts of up to the million jackpot. Our team also works extensively on news related to new casino games, providers and current bonuses. 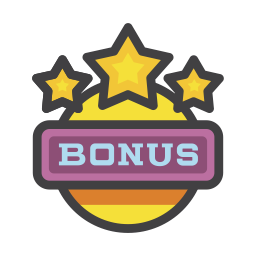 Speaking of bonuses: SlotsClub.com will be pleased to surprise you with exclusive bonus promotions that you will never find elsewhere! We negotiate these bonuses individually with the casino operators and they are only available from us. We provide everything slot-related from a single source. This means you don’t have to spend your time looking for games that match your taste. In recent years, the virtual gaming market has experienced a real boom. More and more online casinos are moving their Internet presence to Europe, making the search for the ‘ideal’ provider difficult for laymen. This is where we can help to make things clearer. All slots are sorted by software manufacturer. We offer the top sellers from brands like Bally, Aristocrat, Net Entertainment, Merkur, Novoline, IGT, Williams Interactive and more – a huge selection that is guaranteed to keep you busy for more than just a few days. If you don’t feel like trying out all the games, you can sit back and watch the short videos. They show you the most important functions and provide a preview of the games featured on SlotsClub.com. All slots fans are welcome in our club. Best of all: “membership” is free of charge! SlotsClub.com wants to give all casino fans a full overview of all reputable providers, top brands and games. We hope you enjoy browsing and trying out the world’s best slots.